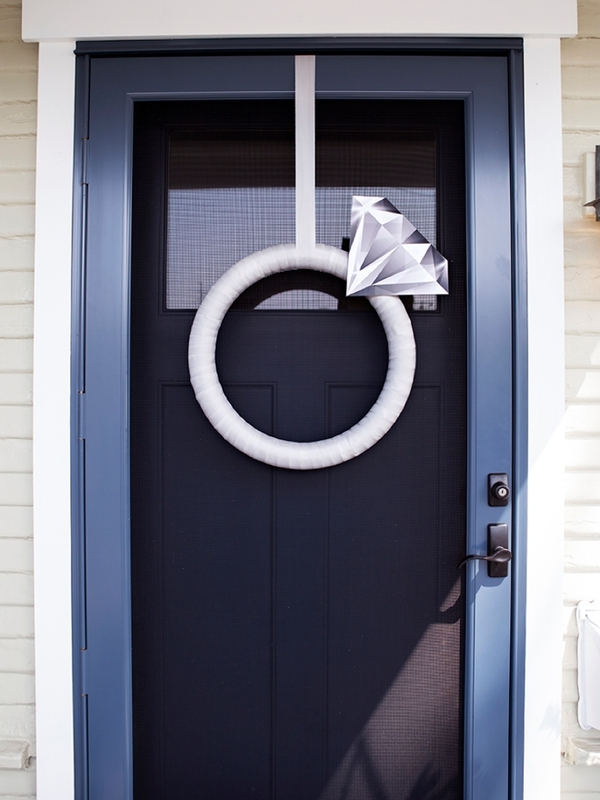 This Giant Diamond Ring Is The Perfect DIY Bridal Shower Door Decor! 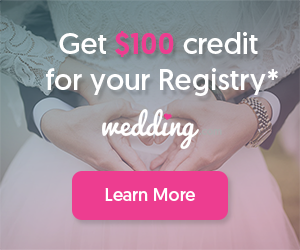 Hosting a bridal shower or bachelorette party soon? 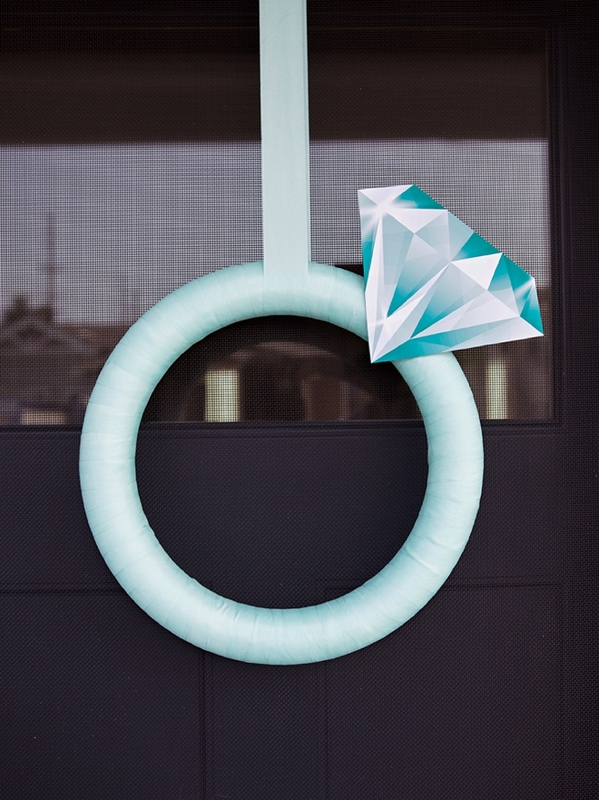 I’ve got the most darling idea to welcome the guests into your home or hotel room… this giant DIY diamond ring! 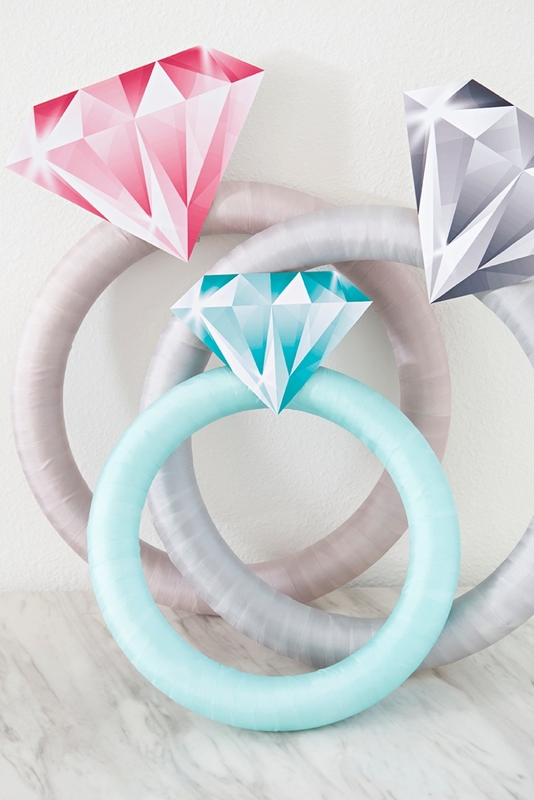 This cute prop is super easy to make since we’re printing the sparkly diamond design with our Canon iP8720! 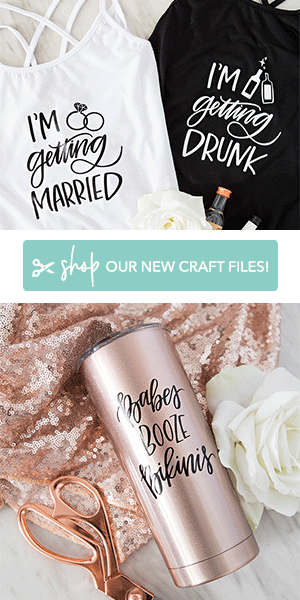 Make just one, or make multiples to fit the space and your party theme… because bling is always better when it’s oversized! 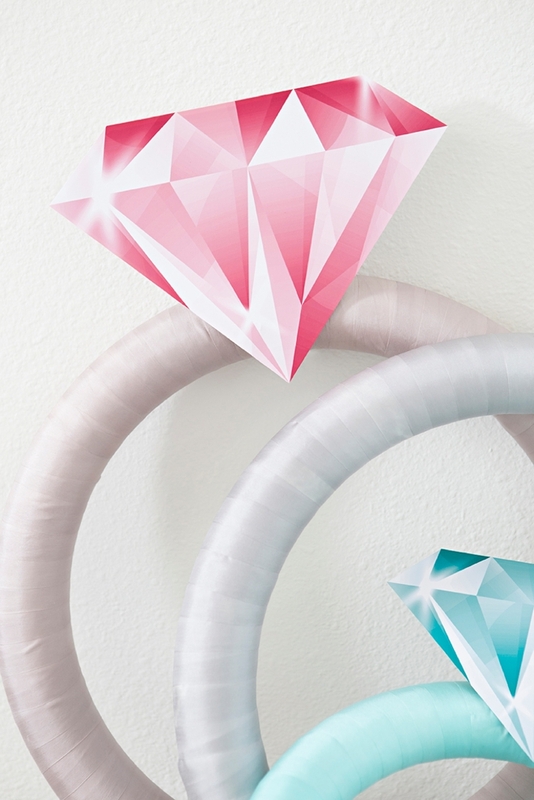 For this lovely project, we’re not only sharing two oversized diamond prints – but we’re sharing them in three colors! 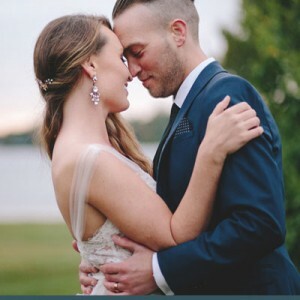 Our free printable diamonds at the end of the post! 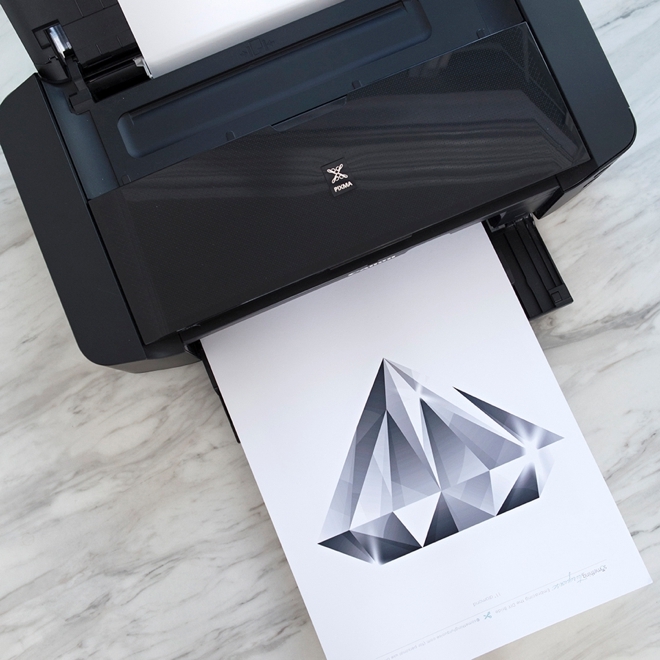 The fabulous Canon iP8720 Crafting Printer is the only large format, consumer printer that can print up to 13″ x 19″! Which is why it’s my favorite! 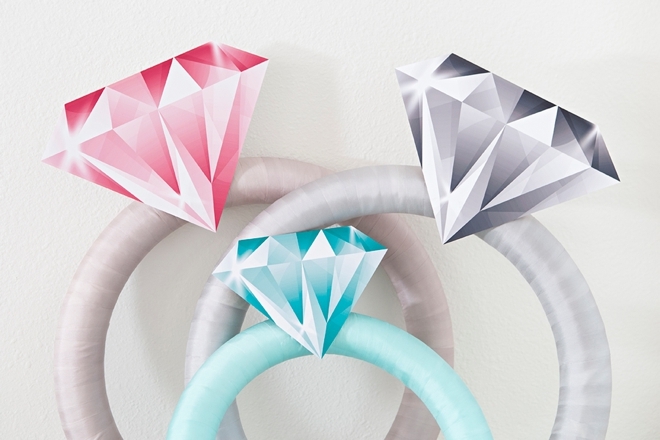 Using scissors, a paper trimmer or rotary blade and cutting mat, cut out your diamond. Next, using a scrap piece of cardboard, trace and cut out a matching diamond. 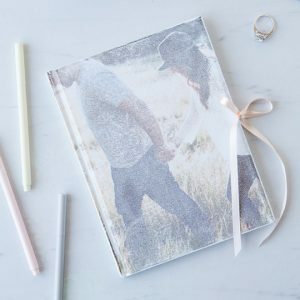 But, make it about 1/4″ smaller than the printed diamond when you cut it out. 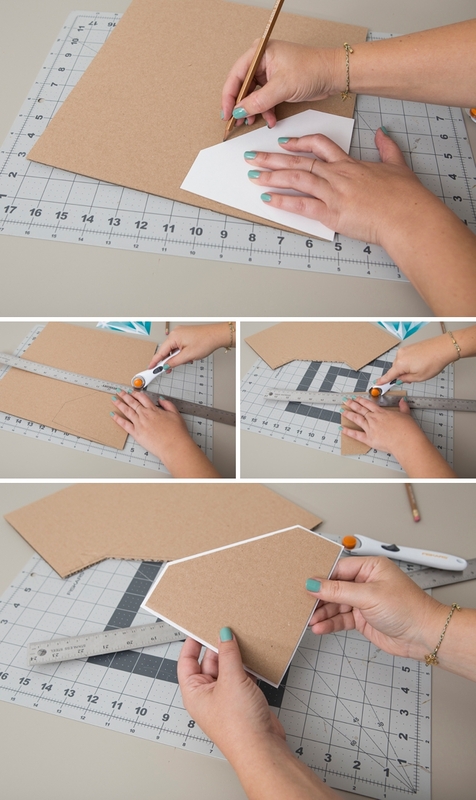 For this step, it’s easiest to use a rotary blade and cutting mat. 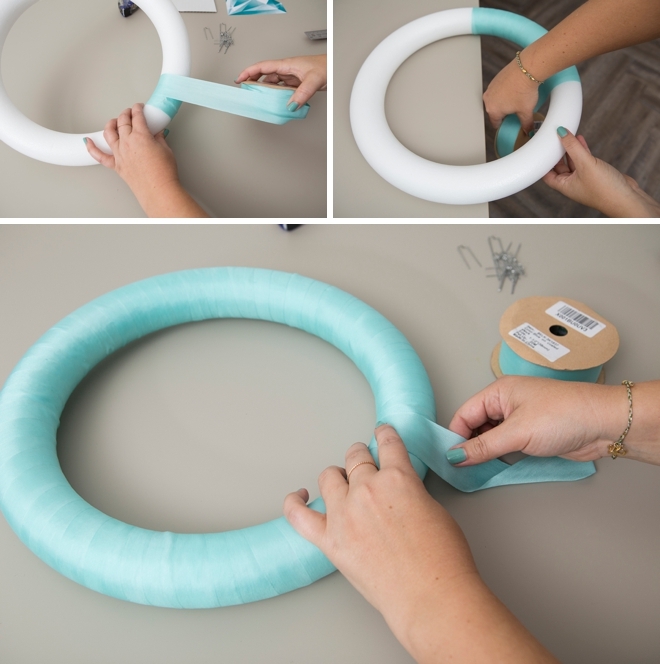 Wrap the “ring” with your choice of ribbon! 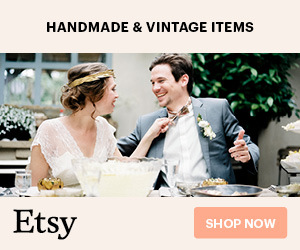 Here I’m using three different shades of gorgeous silk ribbon, but you can use any type you’d like. 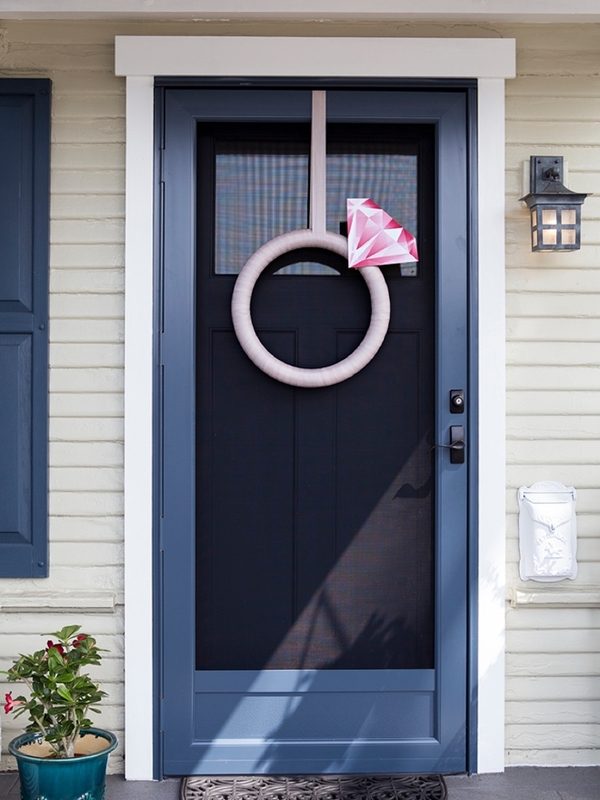 Secure the ribbon end to the foam form with a wreath pin. 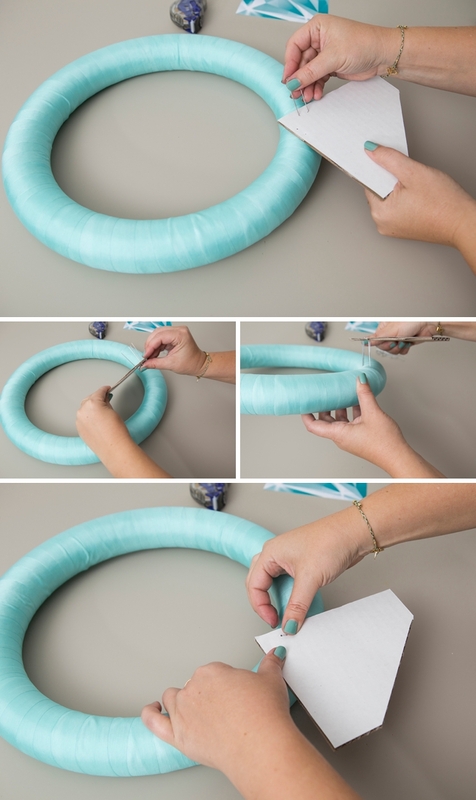 Continue to wrap the foam form with ribbon until fully covered. 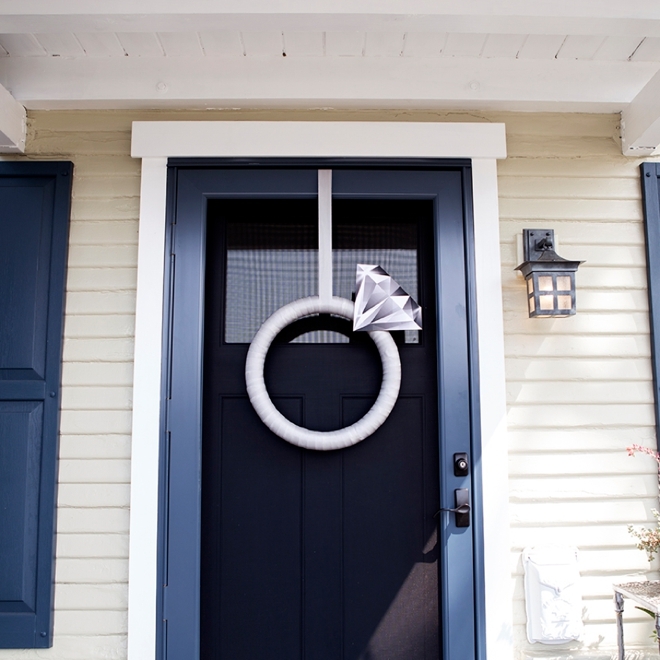 Cut and fold the end under itself and secure to the backside of the form using two wreath pins. 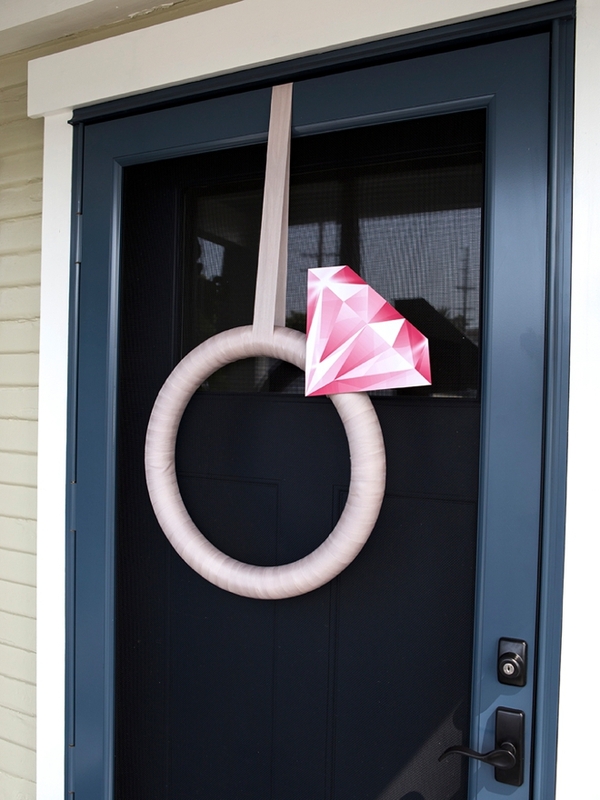 Place the cardboard diamond where you’d like it on the “ring” and then secure it using two or three wreath pins. 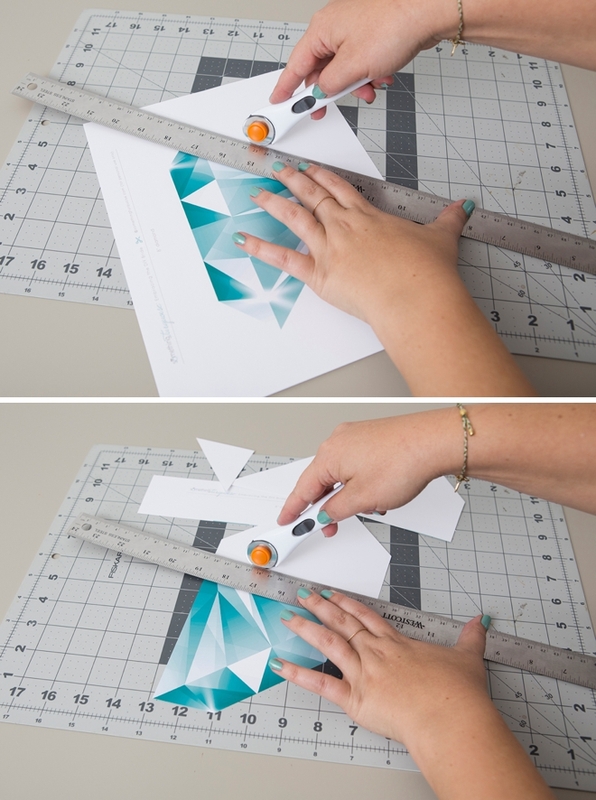 Using your favorite scrapbooking adhesive, add your printed diamond to the cardboard – and you’re done! 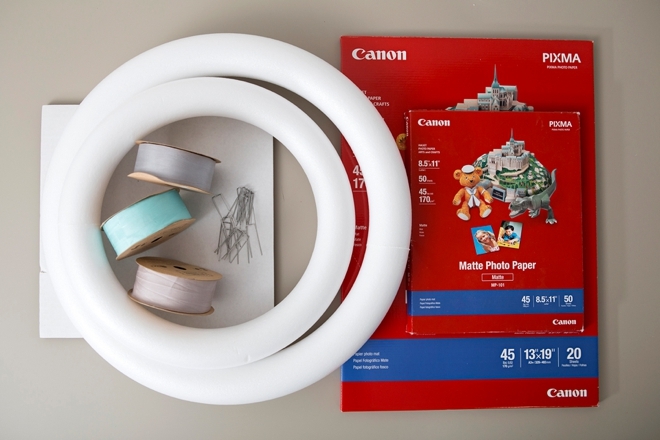 The large format of the Canon iP8720 is every creative gals dream come true! The projects you can accomplish with this fabulous machine are endless with the 13″x19″ size capability! 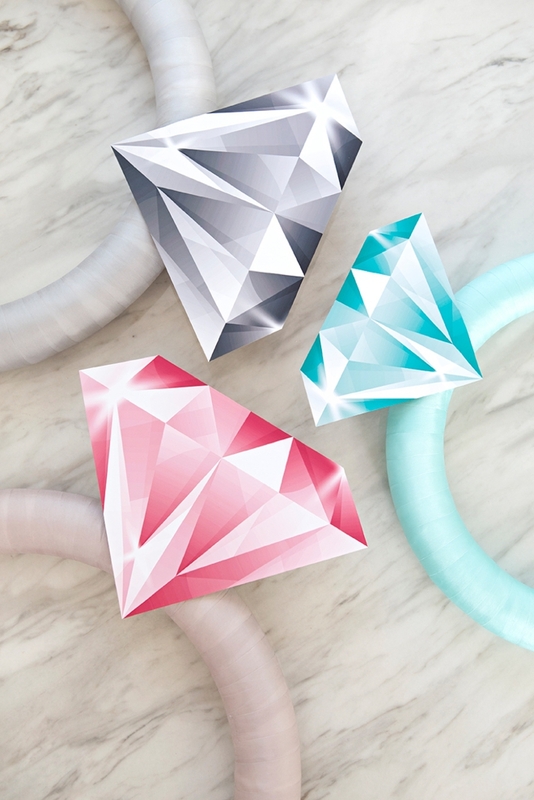 These simple + chic handmade rings are going to look amazing no matter where you choose to put them! 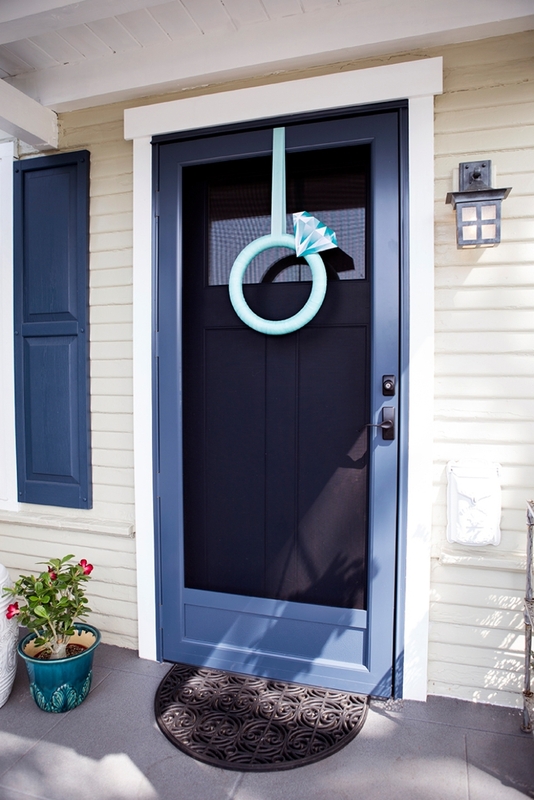 Hanging from the front door, on the back of the brides chair, as a centerpiece, possibly even on the gift table!